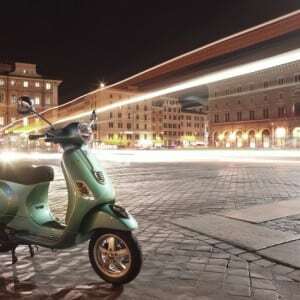 The Vespa LX 150 is the heir of a truly unique legacy, created for getting around the city on a technologically modern scooter that shows off an individualistic style. The modern stylings of the Vespa LX harken back to the most classic Vespa design forms. 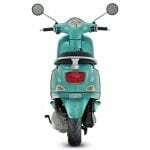 The round headlight, the wide, protective steel legshield, the new, wider and more contoured saddle, and the new chrome detailing on the rear view mirrors and mudguard are all drawn from the history of the world’s most famous scooter. THE VESPA LX 150 is the heir of a truly unique legacy, created for getting around the city on a technologically modern scooter that shows off a individualistic style. 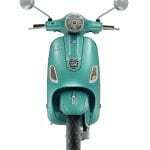 The modern stylings of the Vespa LX harkens back to the most classic Vespa design forms. The round headlight, the wide, protective steel leg shield, the new, wider and more contoured saddle, and the new chrome detailing on the rear view mirrors and mudguard are all drawn from the history of the world’s most famous scooter. The body (which also serves as the monocoque chassis) is made entirely from steel for greater sturdiness and riding precision. 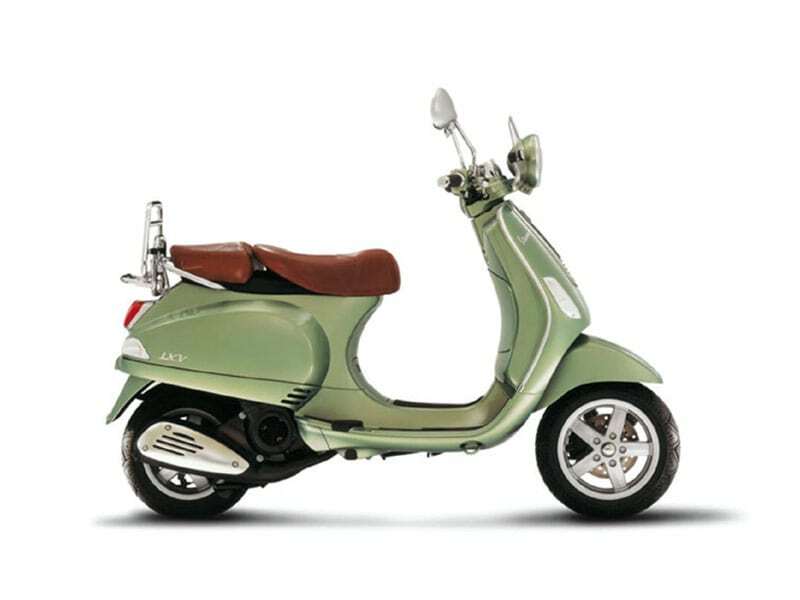 The wheels, 11” and 10” each, a classic front disc/rear drum brake system, a suspension layout featuring the hallmark front link arm, and an adjustable hydraulic mono-shock at the rear complete the technical makeup of the Vespa LX 150. The Vespa LX 150 high-tech electronic fuel injected engine delivers smoother power progression in the relentless stop-start conditions of urban riding. The impressive capabilities of the 150cc engine will shine through as any rider hits the road to get out of town.